We are excited to announce that the Rutland Farms Christmas Tree Farm will open for the first time on November 16th, 2018 at 10:00 a.m. We invite you and your family to continue the tradition of cutting your own Christmas Tree with us this year. Cut-your-own tree varieties available include Leyland Cypress, Murray Cypress, Blue Ice, Carolina Sapphire, Silver Smoke, and Burkii Cedar. 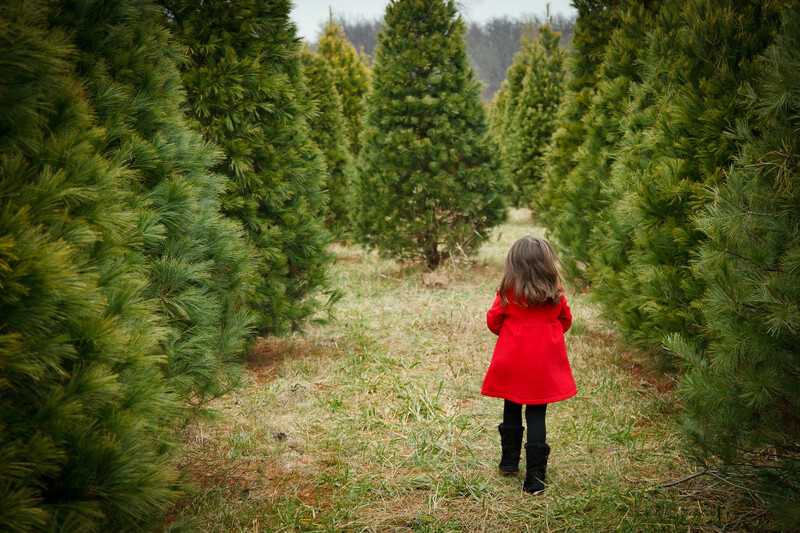 We will also have family favorite, Fraser Fir, available pre-cut in our Christmas tree lot. Monday through Friday: 1:00 p.m. until 6:00 p.m.
Saturdays: 10:00 a.m. until 6:00 p.m.
Sundays*: 1:00 p.m. until 5:00 p.m.
*Sunday hours of operation are during Christmas tree season only. The Sundays we will be open are November 24th & 30th & December 1st, 8th, & 15th. Once Christmas tree season has concluded on December 21st we will close for the week of Christmas through New Years (December 22nd – January 1st.) We will reopen Thursday, January 2nd and return to our normal business schedule of Monday through Saturday from 9 a.m. until 6 p.m.
We will provide tree saws and measuring poles! Yule Tree Stands are available for purchase in The Market. If you have any questions, please give us a call at The Market at (229) 386-5111.